The Republic of Moldova lies in the central part of Europe in the northeastern Balkans. On the North, East and South Moldova is surrounded by Ukraine, and on the West it is separated from Romania by the Prut River. The capital of Moldova is Chisinau. Although it has a small area, the Republic of Moldova has an unusual diversity of landscape and unique geological monuments of European and world value. Moldova’s agricultural and picturesque countryside offers great opportunities for nature lovers, while the rich cultural heritage invites tourists to discover its treasures. Over centuries Moldova has gained rich traditions of growing grapes and wine production. There are 142 wineries in the Republic of Moldova and visitors can enjoy this experience by exploring the underground cellars and towns, the wine storage facilities, the wine processing factories and of course, tasting the final product. 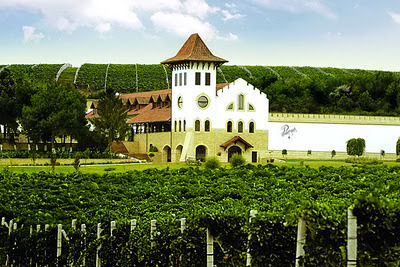 The best known wineries are Cricova, Milestii Mici and Purcari. The environment of Moldova suffered extreme degradation during the Soviet period, when industrial and agricultural development proceeded without regard for environmental protection. The excessive use of natural resources over the last 40-50 years a lack of ecological management of these resources led to overpollution and to significant depreciation of the productive natural capital and to destruction of flora and fauna. The natural environment in Moldova suffers from the heavy use of agricultural chemicals (including banned pesticides such as DDT), which have contaminated soil and groundwater. Poor farming methods have caused widespread soil erosion. Excessive use of pesticides resulted in heavily polluted topsoil and industries lacked emission controls. High levels of pesticide and fertilizer use have been linked with elevated rates of disease and infant mortality. In addition, poor farming methods, such as destroying forests to plant vineyards, have contributed to the extensive soil erosion to which the country's rugged topography is already prone. Groundwater pollution is an associated problem. From all reserves of underground water, which are known till now, only approximately 50% can be used for drinking without pre-treatment. Industry waste waters have been discharged without any treatment whatsoever. Industrial production increased since 1998 for about 30%. There are still insufficient data on effects of industry on environment. In Moldova, main industry is food, beverage and tobacco production, which are also major energy consumers, followed by paper and cardboard, furniture and leather industry, as well as heavy machinery. Forests cover only 11% of the territory. The state is making efforts to increase forest covered areas, which would improve land and soil quality and protection. As of 2001, 1.4% of Moldova's total land area is protected. Two out of 68 mammal species and 7 out of 177 breeding bird species were threatened. Threatened species include the European bison, European souslik, and the great bustard. There is concern that climate change could increase the frequency of droughts. Climate change is expected to have a negative impact on production of some crops like wheat, and will certainly have an impact on Moldova's food security. Water resources will be stressed in the future, and scarcity in some parts of the country will increase. Moldova will also see more extreme weather events in the future. One of the most stringent problems of the Moldovan society at the moment, especially of the rural society is the absence of the access to information or limited access to the public information. Weak local government, personality-based politics, and dominance of government-affiliated media have left citizens with few opportunities to influence decision-making processes that affect their everyday lives. The Moldova Citizen Participation Program (CPP) started in 2004. The project aims to expand citizen awareness, promote civic engagement, and encourage self-reliance, while improving living and social conditions throughout Moldova. Community Projects are realized as citizens identify local problems, develop feasible solutions and prioritize and implement their desired solutions. CPP also strengthens the social sector by providing support to non-governmental organizations and community based organizations. This Civil Society Initiatives (CSI) provides NGOs with resources to mitigate important social problems. CPP trainings are also available to prepare the community members for efficient involvement in the program activities and organization of the community activities. This is the chance to find out about new project models, efficient citizen involvement activities, new managerial methods, original methods of success promotion. Incentives to promote the rational use of natural resources, apply cleaner technologies, reduce waste, close water circuits, etc. In addition some administrative penalties such as fines for the violation of environmental legislation (standards) also have an economic character. Notwithstanding Moldova's set of environmental laws, the country remains challenged to fully integrate environmental priorities within sectoral policies and plans, and to allocate the sufficient level of resources for their effective and sustained implementation. Like many other economies in transition and developing nations, the Republic of Moldova's environmental sector budget is very limited, constituting about 0.1% of the total national budget. In regard to Environment the Government Programme 2009 to 2013 emphasises the development of the environmental legal framework, environmental impacts reduction, raising public awareness on environmental matters and increasing protection against natural disasters. The National Programme “Moldovan Village” 2005-2015 puts the emphasis on sustainable rural development in the field of environmental protection and the sustainable use of natural resources. The Concept of environmental policy sets up the guiding framework for the development of environmental policy and legal acts in the sector of Environment. 2010 Action Plan on road traffic safety improvement. the 2007 Water Supply and Sanitation Strategy 2008-2025. A draft National Waste Management Strategy during 2011 — 2020 is under development. the 2003 State Programme on soil improvement and soil fertility increase during 2003-2010. A Draft National Programme on the sound management of chemicals until 2020 is under development. The issue of Genetically Modified Organisms (GMOs) is tackled in the 2000 National Concept on ecological agriculture, production and marketing of ecological and GMO-free food, the 2001 Biological Diversity Conservation Strategy and Action Plan and the 2009 Joint Action Plan on biosafety in the Republic of Moldova 2009-2015. Moldovan society is a hierarchical one and is governed by a great deal of bureaucracy. Even in the private companies the decision making is much centralised and superiors are ultimately responsible for the decision. As the country is small and mostly rural, the kinship relations display a high density and represent permanent sources of corruption. Personal relations are frequently much more important than the formal side of the business relationship. The business community is influenced also by Western business culture endorsed by European and American companies investing in Moldova and most of them are rather successful in CSR. However, not all foreign companies are equally successful in implementing the same standards of CSR as in their parent country. One part of explanation may the fact that there is little demand for CSR from the part of the Moldovan government and civil society. Another argument is that many affiliates coming to Moldova try to reap as many profits as possible and as rapidly as possible and overlook the ethics of the parent corporations. Foreign companies and companies with joint capital tend to be economically more efficient on average than others. Therefore, “costly” CSR elements normally are expected to be implemented in first place by foreign companies. However, comparing even to regional standards, in Moldova there are very few multinational corporations. In other words, global champions that would lead the trend of domestic CSR are scarce in Moldova. The business environment is influenced by the government and a relatively small number of domestic lobbies. This structure sets limits to the room for social responsibility strategies integrated into corporate strategies. As most of the social surveys show in Moldovan society trust in other people is weak. Confidence in basic public institutions is very much reduced too. Courts are among the institutions that the general public and business representatives trust the least. The judicial system is perceived as inefficient and opaque and the public believe that there are no mechanisms for monitoring the objectivity and lack of bias of the judges. Not surprisingly, many businessmen prefer to solve commercial issues making use of extra-judicial ways. Economic performance of the private sector is expected to influence CSR heavily because it involves many elements which are costly to the company. Therefore, only when a reasonable degree of financial stability and economic profitability is achieved companies may start investing more in the community, providing training to employees or giving money to charities.